Dabbing is a safe and effective way of consuming concentrated cannabis extracts. By heating the concentrate to its boiling point, you create a strong and flavorful vapor that will rival the best top-shelf flower. It’s a bold claim, but we have created the ultimate guide to dabbing. It doesn't matter whether you’ve never dabbed before, or you dab every day—you will find a ton of useful information. Continue reading to find out how you can enjoy the mind-blowing high cannabis concentrates provide. 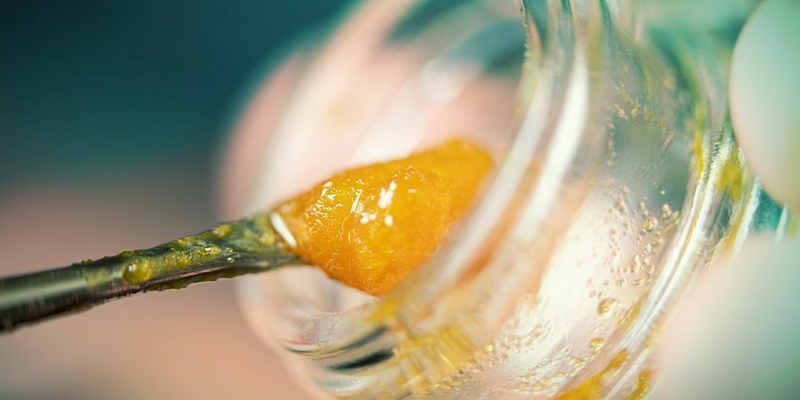 Dabbing is the hottest trend (quite literally) to sweep the cannabis industry. If you don't mind the initial cost and the expertise needed to get started, then a world of euphoric ecstasy awaits. The growing popularity of vaporising concentrates is mostly to do with their purity, achieved through sophisticated extraction processes. Regular cannabis flower measures anywhere between 10–25% THC, whereas cannabis concentrates can be a mind-blowing 40–80% THC—this is an incredible amount of bang for your buck and your mind. However, before we get too far ahead of ourselves, and too high to know what’s going on, what actually is “dabbing”? WHAT DO YOU NEED TO DAB? Any successful dabber needs a few pieces of equipment to get started. As your experience and your tolerance increases, it is possible to invest in more elaborate and advanced dab rigs. However, for the sake of dabbing newbies, we will start with the bare essentials. The two starter options are either: get the relevant attachments to make your regular water pipe suitable for dabbing, or buy a purpose-built dab rig. There is little difference in how they operate. A hand-held blowtorch is all you need to get started. You may see some dabbing veterans using a full-sized blowtorch, but this is purely for show. We do need to heat the nail to a temperature much higher than a standard lighter can achieve, so unless you opt for an electric nail, a blow-torch is essential. Not always completely necessary, as it will depend on the type of nail you have. However, cheaper nails do use a dome. It sits over the top of the nail to capture any vapour and prevent it from escaping before you have had a chance to inhale. Carb caps work in the same way. Considering we are superheating a nail, and most concentrates have a sticky, or tacky texture, our hands are no good. Instead, we use a wand (metal or glass), to transfer the concentrate from its container to the nail. Without concentrate, dabbing would be a complete waste of time. Much of the complication associated with dabbing comes from the massive variety of concentrates available. To make the world of dabbing easier to navigate, we will cover the details of each type below. WHAT TYPES OF DAB ARE AVAILABLE? Cannabis extracts differ because of the way they are extracted. Butane, CO₂, cold water, and alcohol are all methods of extraction, with some simple enough to perform at home. The critical principle throughout all techniques is that plant material is discarded after the cannabinoids (THC, CBD) have been retained, along with select terpenes. The purified substance can have THC content in excess of 70%, making it incredibly potent and highly desirable among cannabis aficionados. Shatter gets its name from the brittle nature the substance has when it is at or below room temperature. In these conditions, small pieces of the concentrate can be broken off and placed on a red-hot nail. Shatter is semi-transparent, often yellow or amber in colour. Featuring a low viscosity, cannabis oil is similar to very thick honey in the way it behaves. Consistencies do vary, so be prepared if you do choose to dab oil extracts—the last thing you want is loads of wasted oil on the floor! A spoon-shaped dabber works best with cannabis oil extracts. Live resin is the standout choice because it is uniquely different from every other type of extract. 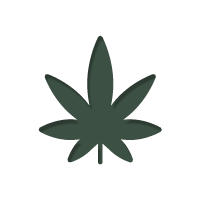 Instead of using dried herb during extraction, fresh cannabis plant material is utilised before any drying or curing. The result is an allegedly greater scope of terpenes and improved flavour. If you want the purest extract available, crystalline offers up to 99.9% THC content. With a similar texture to sugar, the cost of crystalline is what puts most users off. If you can stomach the price tag, there is literally no other concentrate like it. One hit is guaranteed to take you to infinity and beyond. THC crystals also exist in the dizzying realms of 99% THC, however, one downside to both extract types is that such an extreme form of refinement comes at the cost of flavour and aroma. It is not uncommon for extract enthusiasts to mix concentrates. A minimal amount of THC crystals combined with cannabis oil achieves the best of both worlds: flavour and a mind-blowing high. Starting life as cannabis oil, whipping adds air to create a fluffier, drier form of extract. The popularity of crumble is in part due to its ease of use. 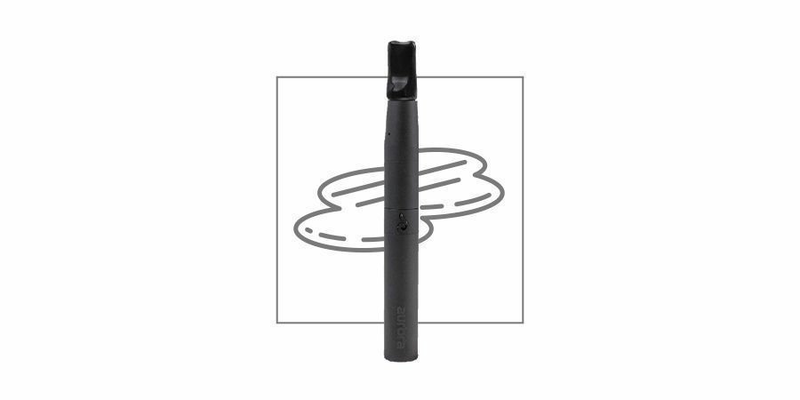 Crumble can be added to a vape pen and enjoyed on-the-go, negating the need for an expensive or cumbersome dab rig. Cannabis wax is a versatile extract with a texture somewhere in between oil and crumble. It is also fairly easy to make. People often get so hung up on the idea of dabbing, that the question of “why should I dab” is overlooked or forgotten about. Ignoring the fact that some users think it is trendy to dab, there are a few distinct advantages over other means of consuming cannabis. Potency is a considerable factor in dabbing. Given most concentrates are several times stronger than the most potent cannabis flower, concentrates are a testament to the statement, ‘less is more’. Considering you only need less than half a grain of rice to get suitably high, dabbing will either blow the minds of first-timers, or provide an enjoyable high for those that have built up a tolerance. Because dabs are significantly more potent, their effects are near instantaneous. If you want to get high or relax with immediate impact, dabs are ideal. Secondly, because of the precise nature of high-quality dabs are extracted, it is possible to get a verified analysis of how potent your chosen concentrate is. If you use dabs as a means of medicating, or you want to be able to calculate an exact dose, dabbing meets those requirements. Another critical factor is taste and aroma. Dabbing can be far more flavoursome than smoking even the finest cannabis flower. Alternatively, concentrates can also have the terpenes removed, so the experience is near odourless. It is all too easy to become overwhelmed with dabbing terms, and that can lead to mistakes or dangerous practices. If you want to enjoy the tremendous experience that is dabbing, consider these safety tips. Regardless of whether you’re new to dabbing, or a seasoned pro, the advice is invaluable. It doesn't matter whether you dab every day, or once a month—dabs are far more potent than standard forms of cannabis. The best advice we can give for safe dabbing is to start slow and increase your dosage in stages. Even if you dab every day, your experience may be affected by various factors, for example how much sleep you got, or how well you’ve eaten. Don’t risk a lousy session by going all guns blazing straight out the gates. Have a few dabs to test the waters—if you feel ok, increase the size of the dabs until you reach the desired level. Concentrates are produced using specialist equipment, high pressures, volatile chemicals and more. Leave it to the professionals and save yourself the hassle of having to rebuild your house after your equipment fails. Moreover, throughout the dabbing process, you will be dealing with incredibly high temperatures (roughly 538°C/ 1000°F). Therefore it is good practice to have a heat mat close by. The blowtorch and any heated parts of the rig can be set aside without being a fire hazard. After a few hits, it can be all too easy to make a mistake or put your hand on something you shouldn't. Our final piece of advice is especially true of concentrates, more so than other forms of cannabis. Concentrates are extracted using sophisticated processes, many of which involve chemicals that should not be inhaled. If the extraction process has been followed correctly, these harmful chemicals are removed, making the concentrate safe for consumption. The alternative is a concentrate full of harmful additives, that when inhaled, can cause all kinds of health issues. Only buy concentrates from a reputable provider, and as an additional precaution, many concentrate producers can provide a detailed analysis of what you are purchasing. You can examine the specific breakdown of the concentrate’s chemical structure. It may seem an overkill, but dabbing is only great if the concentrate has been appropriately prepared. HOW MUCH CONCENTRATE DO YOU NEED? The exact amount of dab will depend on a lot of variables. Whether you have inhaled concentrates before, your tolerance, the type of concentrate. There is no golden rule for the amount of concentrate you need, as it is unique to the individual. However, to echo the thoughts in our safe dabbing section, start small. As a complete dabbing newbie, half a grain of rice is the most you should dab in one go. That may sound minuscule compared to a packed joint, but remember we are dealing with a cannabis concentrate that can be over five times stronger than regular cannabis flower. We’ve covered what dabbing is, the equipment needed, why you should dab, and the importance of safe dabbing. With all that out of the way, we can get straight into step by step dabbing. 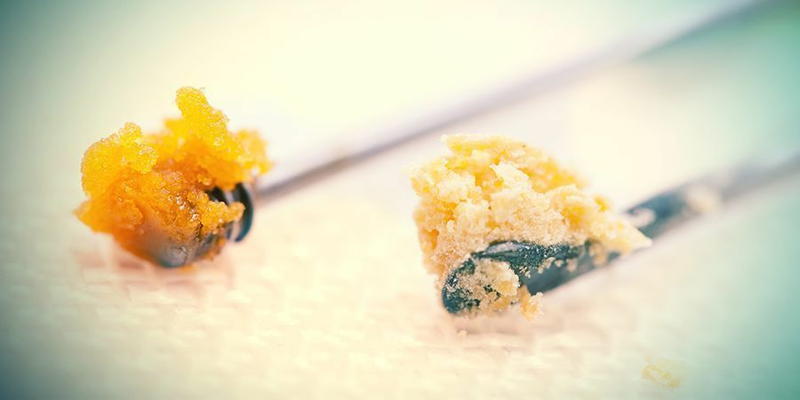 Line up your equipment and have your concentrate to hand—here is how to dab. With your dab rig or water pipe assembled, you want to start by heating the nail using the blowtorch. Hold the flame steady and continue until the nail is bright red. Carefully position the dome over the top of the nail. Now we need to wait. If the nail is ceramic or quartz, roughly 45 seconds should be enough for the nail to cool and reach the right dabbing temperature. If the nail is titanium, you only need to wait 10-20 seconds before dabbing. Dabbing still works if you wait even longer for the nail to cool down, and doing so can help retain more of a concentrate’s flavour. For more information on dabbing temperatures, head to the section below. Take a scoop of your concentrate on the end of a dabber or wand. Position your mouth over the water pipe or rig, and get ready to inhale. Apply the concentrate to the heated nail, rotating the dabber to make sure all the concentrate comes into contact with the surface of the nail. 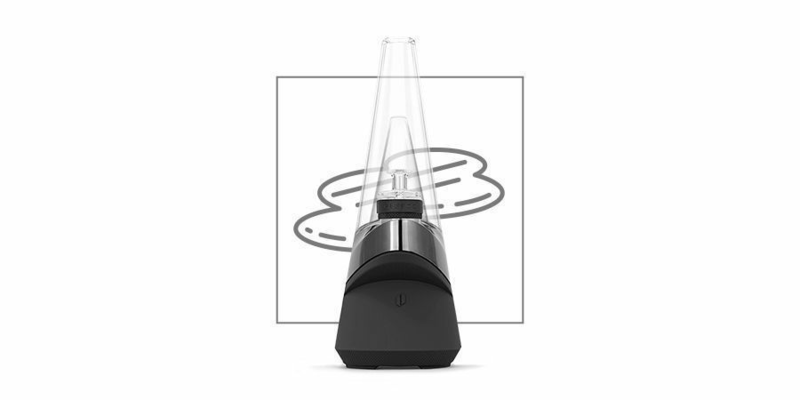 Inhale sharply for your first hit of concentrate vapour. If you are not using a dome, but have opted for a carb cap instead, place the carb cap inside the nail, and continue to inhale. Exhale and let the fireworks go off in your mind! If there is any concentrate left in the nail, take a few more hits to finish it off. For most users, that one big hit will be enough. If you have developed a high tolerance, and need to go again, repeat the process from STEP 1. Dabbing is not an exact science, but rather a fine art. The right dabbing temperature for you will come down to the type of concentrate being used, and personal preference. As a general rule of thumb, dabbing exists in two camps—high, and low-temperature dabs. High-temperature dabs are how the majority of users enjoy their concentrates. The nail is heated using the blowtorch, before dabs are taken seconds afterwards. While this will provide the most intense hit of THC, and melt the concentrate instantly, it does have some drawbacks. The first is the harshness. High temperatures mean hot vapour and it will burn all the way down your throat. Expect plenty of coughing and spluttering, especially if it is your first time dabbing. Moreover, you will also burn off a lot of the terpenes that provide a concentrate’s flavour. Lastly, if the nail is too hot, you can burn the concentrate, completely ruining the dabbing experience. With low-temperature dabs, you regain a lot of control over the essential components of a concentrate. Terpenes are retained, as are more elusive cannabinoids. The flavour will be far improved with a full-bodied effect, and the risk of harsh hits is all but removed. The downside is you will need a carb cap to get a satisfactory amount of vapour, and the high won’t be as pronounced as a high-temp dab. The best bet is to experiment with temperatures until you find the sweet spot of flavour versus mind-altering high. Because you only need a tiny amount of cannabis concentrate to get high, there is a good chance you are going to have some left over. Given the premium of some forms of concentrates, users will want to get the most out of their concentrates, and rightly so. To make sure you get value for money and keep you concentrates as fresh as possible, adequate storage is a must. An ideal choice is Zamnesia’s silicone oil jar. Not only is it inexpensive, but concentrates like oil and honey won’t stick to the inside. This is the biggest problem with concentrates, transferring them from point A to point B without covering yourself and the area around you in wasted concentrate. A decent dabber, and a silicone storage container will alleviate this problem, while retaining the freshness of your chosen concentrate. We’ve covered virtually every aspect of the dabbing process. Armed with the information, it would be possible for a complete beginner to venture forth and experience the incredible potency that cannabis concentrates have to offer. However, if you have already blazed your way through this guide and feel like elevating your dabbing potential, then you are in luck. Below we present accessories that can improve or alter your dabbing experience, so that it is as unique, and as enjoyable, as the first time you dabbed. The Peak from Puffco is quite literally the pinnacle of dabbing technology. It is a smart rig that blends the primal art of heating and inhaling vapour, with the sophistication of premium components and a temperature controlled nail. No need to use a blowtorch, and rely on good old-fashioned intuition to tell if your nail is at the right temperature. This baby does it all for you, and even has a session mode so you can pass The Peak around at social gatherings. 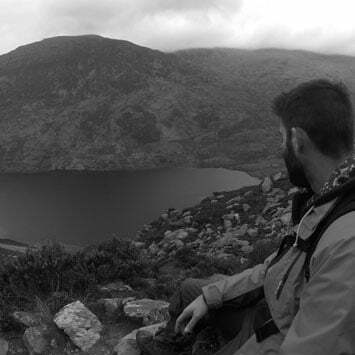 It may set you back a few bob, but the investment will prove its worth in the first session alone. If you are even the least bit interested in becoming a regular dabber, The Peak is an essential purchase. It offers a level of control that cannot be matched by traditional water pipes or dab rigs. So far, all your options for enjoying concentrates consist of being stationary and having a variety of tools to hand. This can be inconvenient for those who want to enjoy concentrates on the move. There are not many of us who have the luxury of working from home, with an instant access to our trusty dab rig. That is where the Dr Dabber Aurora comes to save the day. Purposefully designed to be as discreet as possible, merely pre-load the vape pen before you leave the house, and few clicks are all it takes to get started. Perfect for those sneaky hits, a fully charged battery should be enough to see you through the day. The Peak and the Aurora are but two devices in a rapidly expanding market of dabbing technology. To save you some time trawling through the internet, we have put together our top five vaporisers for concentrates. With each device offering exclusive features, there is bound to be something that will fit your dabbing needs. Once you have scratched the surface of dabbing, a rich and rewarding world awaits. Narrow down your list of essential features and pick a product that caters to those requirements. This article has been constructed with the beginning dabber in mind. Covering all aspects of dabbing logically, it is your go-to guide. That being said, the dabbing market is expanding daily, and as you will discover, even an article of this magnitude is the tip of the dabbing iceberg. If we had to leave some final advice, it would be to get all the necessary equipment together, start slow and find a concentrate that you enjoy, both in terms of flavour and the high it provides. From that point onwards, the dabbing world is your oyster!